Could we be any greener? Get ready for a cool, ‘Green’ Easter Egg scavenger hunt this Saturday, April 4th, at the SFC Farmers’ Market Downtown, thanks to our sponsor One Gas. Bring the kiddos down to the market and check-in at the blue Sustainable Food Center information booth. We will provide a scavenger hunt booklet filled with neat things for the kids to find at the market that maybe even the grownups don’t know about! While rounding up their answers, the little ones will have fun AND learn more about the farmers' market. As a prize they will get a SFC Farmers' Market coupon worth $1 to spend on their own - tucked nicely in into one of the farmers’ real dried egg shells (like a cascarone). Prizes available to the first 50 participants. And there’s more! One Gas will host face painting and balloon making activities, and the music for the day is Victoria Pennock. 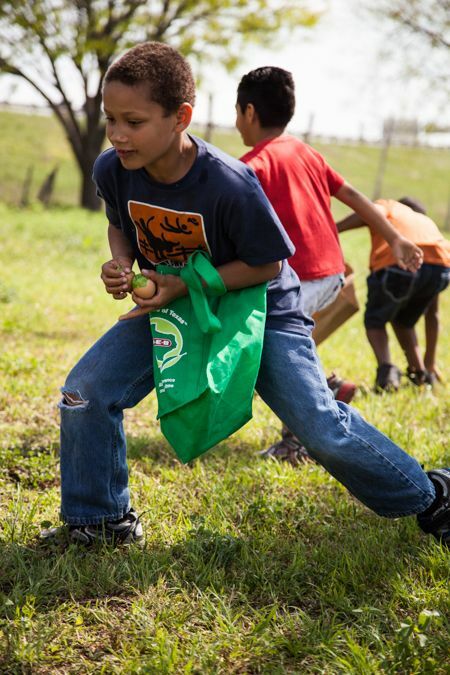 All the activities are free and there is no time limit for the Green Easter Egg Scavenger Hunt.